The Early Girl tomato is a medium globe type F1 hybrid popular with home gardeners because of its early fruit ripening. Early Girl is an indeterminate variety. It is tall growing and needs support as the plant grows. Fruit maturity claims range from 50 to 62 days from transplanting. Plants are reliable and prolific. The ripe fruit is about the size and shape of a tennis ball—very much a standard tomato—and weighs 4 to 8 ounces (~130g). It has a bright color and good flavor, but is usually replaced at the table by later-producing varieties which are considered better tasting. Open-pollinated alternatives that take roughly the same amount of time as Early Girl include Matina, Sasha’s Altai, Silvery Fir Tree, and Stupice. Early Girl VF hybrid is verticillium and fusarium wilt (strain I) resistant. The VFF hybrid is resistant to fusarium wilt strains I & II. An open-pollinated version has also been bred, although it is not widely available. Most of this info is from wikipedia. Early Girl is well suited to a technique known as “dry farming”. 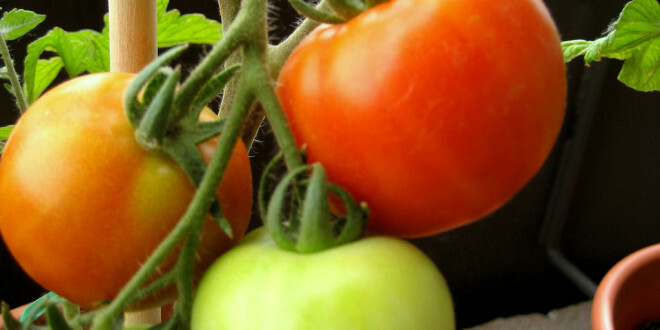 Researchers at the Center for Agroecology and Sustainable Food Systems at the University of California, Santa Cruz, are among those who have described the technique: not watering tomatoes after transplanting, forcing the roots to grow deeper to seek out moisture, producing more “concentrated flavor,” and saving water. Dry-farmed Early Girl tomatoes are popular in farmers markets in the San Francisco Bay Area. The variety is also popular with home gardeners in that region, where it thrives despite the area’s cool and often overcast summers. Dry-farming is not suitable for containers. Also dry-farming is best for regions that receive 20 inches of rain per year. In the San Francisco Bay Area, these regions would be the coastside and the North Bay. Sunnyvale only averages 12 inches per year.